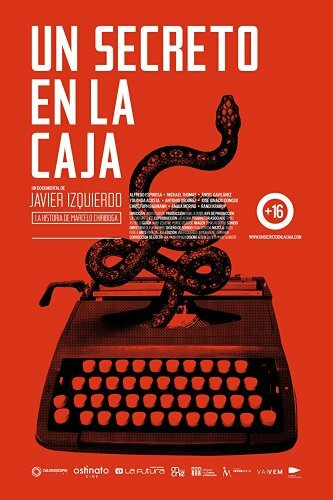 Un Secreto en la Caja (A Secret in the Box) is a film from Ecuador. A Secret in the Box explores the life and works of Marcelo Chiriboga (1933-1990), an internationally known Ecuadorian writer and member of the "boom" generation, who remains unknown in his country. Through multiple voices and varied archival footage, the film reconstructs the puzzle of Chiriboga and erases the limits between reality and fiction. From his early youth marked by the Ecuador-Peru War and political compromise, up to prolonged exile in East Berlin and the publication of the novel The Imaginary Line (1968), which would grant him worldwide fame and censorship in his own country, the film explores the complex relationships between history and art, art and life. A Secret in the Box not only develops the biography of a non-existent writer but also explores forgotten aspects of Ecuadorian history, like its military past.